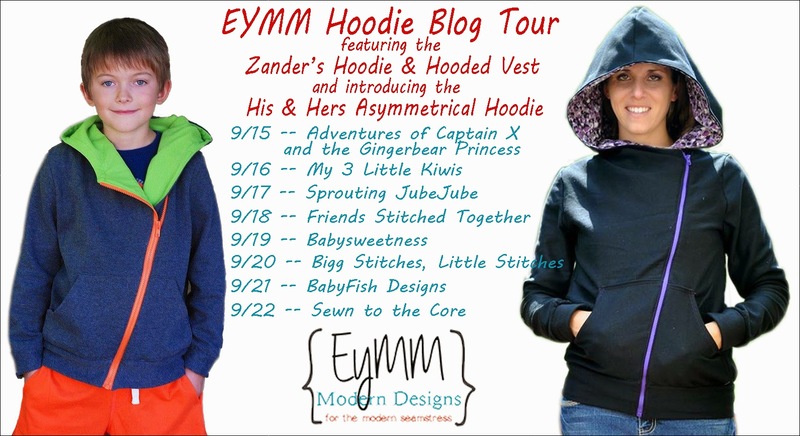 When I first saw the Everything Your Mama Made & More Zanders Hoodie in the boy’s buddle up, I thought “this pattern is so cool, I want one for me!” Well, it seems I wasn’t the only one. Kymy has listened to the masses and is about to release an adult version of the pattern! I was lucky enough to get access pre-release version so I can share this awesome new hoodie with you. 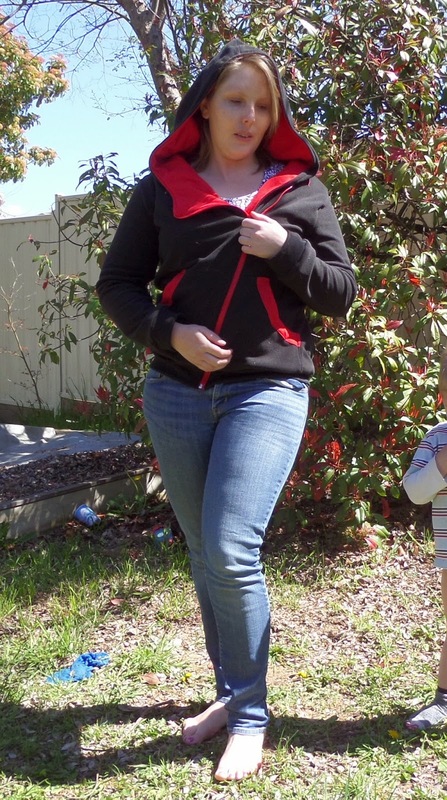 The hoodie is the first intermediate pattern, so a little more challenging than her previous patterns, but it’s definitely worth the effort. My favourite black hoodie has seen better days so I thought I would take the opportunity to replace it. I chose a soft black microfleece and was planning to do a hot pink contrast, but the sewing gods had a different idea – I couldn’t find a long enough zip. I thought red was the next best thing. I decided that it needed an extra pop of colour, so I added a contrast band to the pocket as well. The pattern went together well – if you exclude me sewing the lining on back to front! That’s what I get for sewing late night. sure both my sons will be wearing their own hoodies soon. I am really impressed with the size range too! 3m to 18 for children and xs to 5xl for adults. Wow! You can get your copy of the Zander's Hoodie & Hooded Vest in childrens sizes, the Boy's Silhouettes Reverse Applique Pack, and pre-orders of the His & Hers Asymmetrical Hoodie (it's still in testing ... being perfected before its release). These patterns are available for 25% off with the coupon code “HOODIESROCK” until 11:59pm on 23 September. Sis Boom: Shake the room!